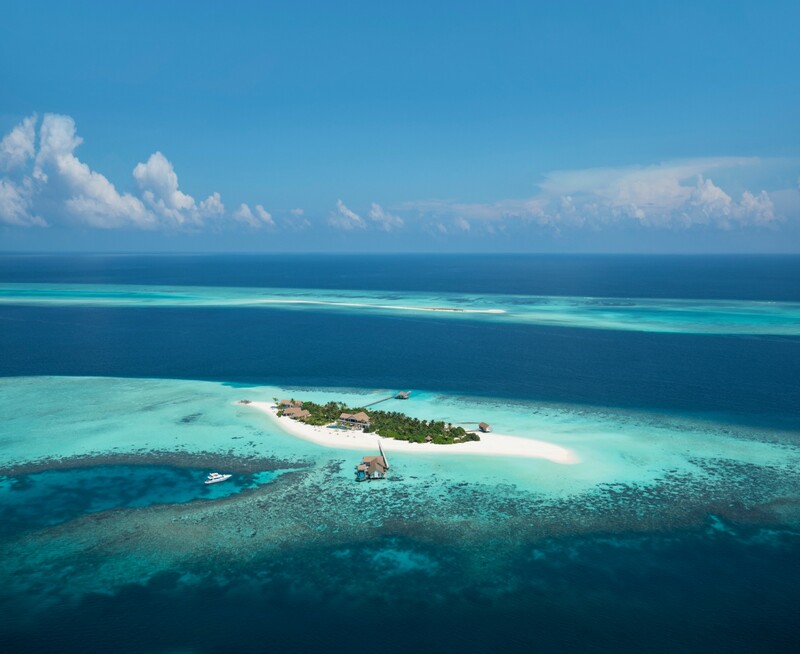 Isle Blue presents the ultra exclusive Four Seasons private island Voavah located in the Maldives. Vacation like a celebrity at Four Seasons Voavah. This private island is all your own, with its beautiful white sand beach, the private seven-bedroom villa, and your very own luxury yacht. The villa includes private marine territory, so you don’t have to worry about unexpected visitors at all. If you’ve ever wished to have your own private island, here it is! The Four Seasons has outfitted this getaway with everything you need to feel pampered, and you can be as connected – or not – as you like. The property is arranged into multiple smaller buildings. There is a three-bedroom beach villa, perfect for children to hang out thanks to the loft lounge with games and media. You can also stay in the two-bedroom water villa or the two mezzanine suites. The beach house is where all the action is. In addition to the games lounge, you will also find the library, gym, kitchen, and pool deck here. Your stay is catered to by private staff, who stay in separate quarters. They cook and clean so that you can simply enjoy living like a king. There are also spa services available. During your stay, you have full access to the Voavah Summer, a 62-foot yacht with all the luxury that you’d expect. You also have motorized beach toys to enjoy from your private dive center. The waters surrounding the Voavah private getaway are renown for hosting large populations of manta rays, so be sure to watch for these beautiful creatures around your home-away-from-home. You can dive to swim with them, and be sure to watch for turtles and tropical fish while you are there. You can take the yacht over to the Four Seasons Landaa Giraavaru resort, just 20 minutes away, to enjoy the Marine Discovery Center and more amenities, or simply lock yourself away from the world for an amazing vacation you’ll never forget.